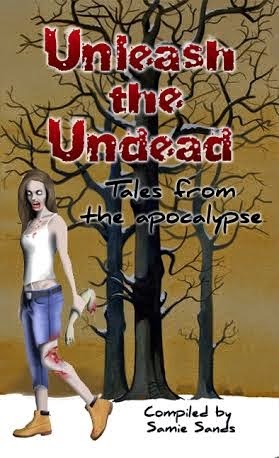 Delve into the horrifying world of the zombie apocalypse, as bought to you by the following authors and artists: J.L.Drake, Marina Hume, Matías Andrés Bravo Jara, Ana Prundaru, J.H., Dale Herring, Jonny Graham, Klarissa Del Rossario, Saadia Ammad, Akash Sagar, Rob Shepherd, Rhys Curtis-Thompson, Kayleigh Edwards, Diego Tonini, Lachelle Redd, Victoria Pagac, Noel Osualdini, Glen Holman, Mathias Jansson, Kyle Flack, Ceri Matthias, Gia Berryman, Max Ferreira, Diana Alexandru, Kevin S. Hall, Art Pic, Zoja Vladisavljevic, B.S. Purwanda and Samie Sands. I took a deep breath and advanced, using the pack as a shield. The first zombie came at me fast but careless, and bounced harmlessly into the chasm. I took a second to smile before the next one attacked. He broke free of the melee and headed straight for me, moving in a wild spasm. I braced myself as his rotten body fell against the pack, pushing me back slightly. His eyes were level with mine, blank and expressionless, yet cold and hate filled. Immediately he bit into the fabric, forcing his head forward. I twisted my arm hard and ripped the teeth from his mouth causing him to release a horrible gurgling shriek, before I planted my foot into his knee and sent him tumbling into the darkness. We were close to Black now, a few feet away, I could see him snarling and biting, huge gashes in his body and flaps of skin hanging loose from his bones. Suddenly the pack pulled to the right, and I lost balance. I felt Kaatje grab my shoulders as I looked down. The toothless corpse was hanging from the stone trying to pull itself to safety, one arm grasping the free strap. I stepped back, dragging him up. I pulled out my blade with my free hand. Something crashed into me hard and I fell backwards into the abyss. I expected to fall forever as I felt gravity’s pull, but came instead to a sudden painful stop, dangling in space, one arm still looped through the pack. Samie Sands will be awarding a paperback copy of Unleash the Undead (international giveaway) to a randomly drawn winner via rafflecopter during the tour, and a paperback copy of Unleash the Undead (international giveaway) to a randomly drawn host.